What are the Server Requirements for running a Self-Hosted MIDAS system? Initially the physical files that make up MIDAS take up less than 3MB, but we suggest a minimum of 10MB free disk space to accommodate a typical size of database. See Which browsers are supported? Can't meet these requirements? Don't worry! 3 The optional extension "mod_perl" present on some Apache servers is known to cause issues and should be disabled in order to install & run MIDAS. If in doubt please check with your server/hosting provider first. 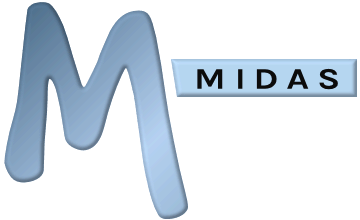 Which web browsers does MIDAS support? Can I install MIDAS on a shared web hosting package with my current provider? Can I use an alternative database platform instead of MySQL? Why am I informed during install that there are required modules missing?